EDINBURG — UTRGV baseball coach Derek Matlock said the Vaqueros looked like they were swinging underwater on Friday. He wasn’t exactly sure why UTRGV had so much trouble against CSU Bakersfield starter Alec Daily, but the output wasn’t what Matlock expected. Making only his second start of the year after sitting out the past two seasons following Tommy John surgery, Daily held the Vaqueros without a hit for seven innings — the longest outing of his college career. UTRGV (13-10, 0-1 WAC) finally got to Daily and the Bakersfield bullpen in the eighth inning, rallying for five runs. But the late burst was not enough to erase a seven-run deficit, as Bakersfield (10-13, 1-0 WAC) picked up an 8-5 victory in the WAC opener for both teams at UTRGV Baseball Stadium. Daily entered with just 9 2/3 innings pitched on the season before throwing seven-plus innings with a career-high eight strikeouts on Friday. All of UTRGV’s four runs (three earned) and the lone hit against Daily came with no outs in the eighth. Matlock said Daily’s stuff was “sporadic.” The senior threw 62 of his 105 pitches for strikes, walked four UTRGV batters and hit three more. Staked to a 7-0 lead entering the eighth inning, Daily issued a walk to Cris Castillo and hit Coleman Grubbs with a pitch. Elijah Alexander loaded the bases when he hit a grounder to second base and the throw by Bakersfield’s Austyn Tengan pulled shortstop Evan Berkley off the bag. Daily’s first pitch to UTRGV’s Austin Siener was outside, and Siener poked it the other way down the first-base line for a triple that broke up the no-hitter and pulled UTRGV within 7-3. Daily was then pulled for Elijah Parks, and Parks’ second pitch to Tyler Torres was blasted over the left-field wall to draw UTRGV within 7-5. Siener and Matlock said Castillo, a senior, was one of the players leading the charge in the dugout. UTRGV went down 3-0 in the first inning as Bakersfield got to starter Carter Johnson for three hits and a pair of walks. Johnson allowed three earned runs before recording the game’s second out, matching the highest earned run total he’s given up in an outing during his two seasons with UTRGV. But he settled down from there, giving up just two hits and two walks in five scoreless innings after the slow start. UTRGV’s Juan Carreon pitched a clean seventh inning but loaded the bases with no outs in the eighth, giving up a leadoff double and back-to-back walks. 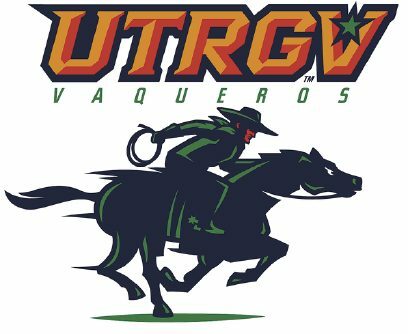 UTRGV turned to reliever Jerred Quartier, and on his second pitch Sergio Robles hit a grand slam over the left-field wall, giving Bakersfield a 7-0 cushion. Bakersfield added an insurance run in the ninth when Austyn Tengan reached on an error, moved to second on a wild pitch, advanced to third on a bunt and then scored on a two-out grounder down the third-base line that went for a single after bouncing off Torres’ glove. UTRGV looks to rebound in game two of the three-game series at 6 tonight.